These are the perfect end-of-summer slides. 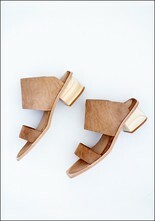 These shoes are handcrafted from the most soft calfskin leather and feature a chunky wooden heel. We especially love the squared-off toe! * ONLY 41 IN STOCK. 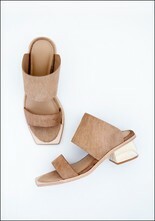 > Leather upper, wooden heel with rubber cap.